Many of the stall holders at this year's Zinefest will be selling brand-new issues of their zines, or even completely new zines. Below we feature a few of them - but be sure to come and check out all the talent on the day, as we would be writing forever about all the amazing people who are involved this year! "Radio as Paper is a local comic zine and winner of an Eric Award for best comic anthology (NZ comics award) RAP compiles works from NZ comic creators such as Tim Molloy, Toby Morris, MF Joyce, Frank and Becky and many more. After getting a much appreciated boost from last years Auckland Zinefest and now working on the 5th issue, RAP returns this year to Zinefest with a possible best off of the previous editions as most of the first issues are now out of stock." Also, at Zinefest only, if you buy a physical copy you also get a digital copy (issue 4 or 5) for free! Just bring a USB stick or similar on the day. Jerome will be releasing the first part of his comic entitled 'Bucklame', which has taken over a year to make. If you purchased the intro off him last year, bring it along to Zinefest and he will swap you for the new one, free of charge! Pretty sweet deal in our books. Issue 7 of Presence is jammed packed with loads of interesting and quirky content. "We get up close and personal with The Drab Doo Riffs, as they pose for a mysterious shoot. The girls from The Gladeyes, have a chat with us and stop by for some messy fun. Then we venture behind the scenes at Pleased To Meet You boutique, where Misery meets fashion. All the girls are going to crush on Jordan Barnes, a man with too many talents, whose works are featured in this issue. We head to the Red Bull Studio Live Sessions and check out a couple of new bands that are coming up on the scene. And we get our crafts on at the new Cassette SuperMarkets. Plus plenty of neat CD Reviews from Eavesdrop, for the perfect reading party! 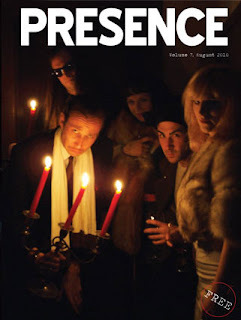 Check out all this and more in the latest issue of Presence. Avaliable at Magnation, Real Groovy and plenty of selected cafes and boutiques around Auckland." Greta from Presence will also be chatting to Charlotte on 95 BFM's Morning Glory radio show this Friday around 11:20am (just a few hours after us!). Check out this link (from Friday onwards) for a sneak preview of the new issue, or alternatively go say hi at Cassette's MUM clubnight on Friday to see it in the flesh. "Potroast n. 1 A cut of beef, often taken from the tougher chuck cut, that is browned and then cooked until tender in a covered pot with vegetables. 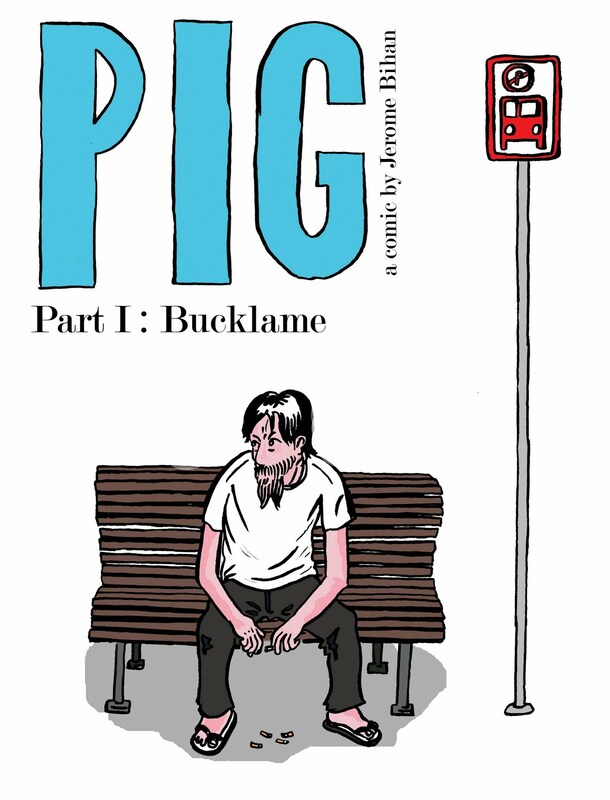 2 An Auckland-based literary zine publishing poetry, short-fiction and illustrations by an interesting group of contributors. The zine strives for the same qualities of flavour, richness and budget-stretching-without-quality-compromise substance as its culinary namesake. 3 Awesomeness. 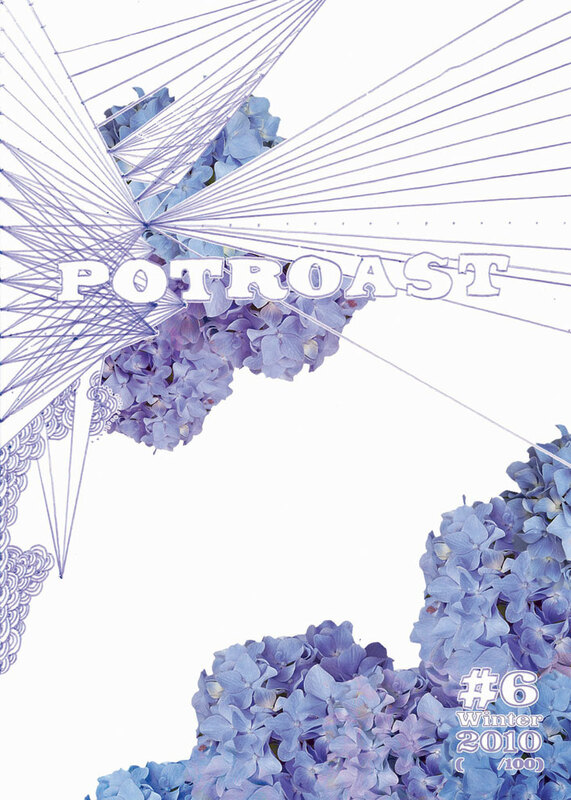 Potroast#6, our latest issue, is garden-themed. Thus, Potroast#6 features gardens in which growth is consumption (of human flesh! ); gardens in which nothing grows; gardens growing on heads; heads which are gardens complete with oozing spring-bud pimples; and a wide spectrum of other works dealing with growth, stagnation and the flowering of many beautiful things. Copies of Potroast#6 - as well as back issues #3, #4 and #5 - will be available at the Auckland Zinefest for $4 each or $10 for 3 copies. All funds raised will contribute towards printing costs. 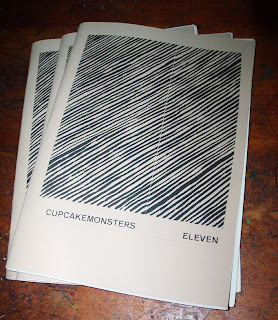 Chapbooks of some of our regular contributors will also be at the Festival!" downloadable mixtape of select Papaiti Records bootlegs, curated by James Stuteley. Cupcakemonsters continually talks about avant-garde music in a pleasant manner." "Bad Crushes is a collaborative zine made by a bunch of soft gummy hearted souls. An A-Z of good times, bad ideas and unrequited "I like you"s."
More info on Amber's blog. An aesthetic amalgamation of collaged treasures/ephemera and artwork sourced and found around Auckland. Issue 1 features work and found objects by Dim Pivac, Moron Says What?, Micheal Vincent Sperring, Jonas Besson, Genista Jurgens, Joshua Lynn, Tessa Stubbing and Damian Golfinopoulous. 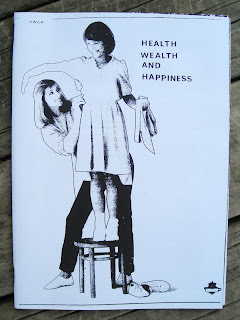 There will be copies of HWAH at Zinefest for free - if you miss out you can download it from the website shortly. 10-22-38 Astoria was named in homage to the first ever photocopy, by Chester Carlson in 1938, which said just that. 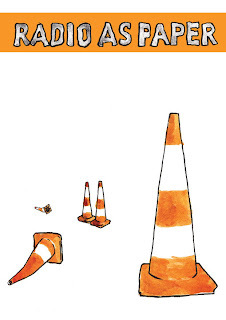 Limited copies of the third edition will be available at Zinefest this year. Issue 3 is a step aside from the previous two editions (which involved more traditional zine content, articles etc), and is a more conceptual version - it has been produced entirely on the photocopier, using 1960s photocopier manuals as the raw material to collage, destroy and play with. 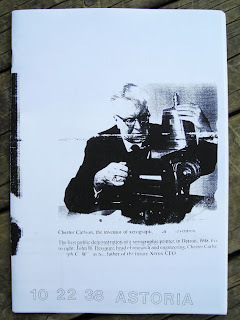 What is contained in the zine is an aesthetic experience - a visual representation of the beauty the limitations of a photocopier offer the zine-maker.